The answer hasn't changed since the last time you asked. 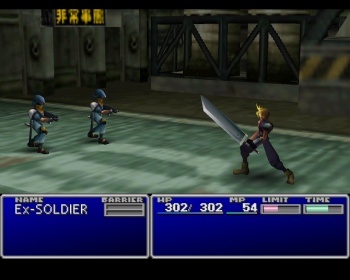 In all of gaming-dom, is there a project more desperately desired and imagined than a current-gen remake of Square-Enix's legendary Final Fantasy VII? Besides a Pokemon MMO, that is. Ever since the JRPG giant pulled the cruelest of bait-and-switches with the infamous 2006 PS3 tech demo, fans have kept on asking for it. And Square-Enix just keeps on saying "Eh, it'd be way too much work." In a FF7 anniversary feature (the game is 15 years old this year), Japanese game magazine Famitsu spoke with Square-Enix's Tetsuya Nomura, who penned the game's story and designed the characters. Naturally, Famitsu couldn't leave well enough alone, and asked Nomura about the possibility of remaking the iconic JRPG. While Nomura acknowledged the desire and clamor for a remake, reports Andriasang, he said it wasn't a priority for Square-Enix. Rather, said Nomura, Square-Enix wanted to make new games that it hoped would equal or even surpass the titans of ages past. Nomura said that he considered Final Fantasy XIII producer Yoshinori Kitase to be the true successor to the Final Fantasy line, so remaking it might as well be his call anyway. In other words, this may be the most polite way Nomura could think of to say "No, we're not remaking it. Please stop asking already." Nomura did reveal a little bit of trivia about Final Fantasy VII's development, however. Optional party member Yuffie Kisaragi was initially planned to be a wanted criminal instead of just a perkily annoying Materia thief, and the players would see different wanted posters for her all around the grimy metropolis of Midgar. The trick was that each poster would have a different face on it, and when you finally met Yuffie her appearance would change depending on which poster you'd last viewed. That's just fine with me. I never even took Yuffie in my party anyway.